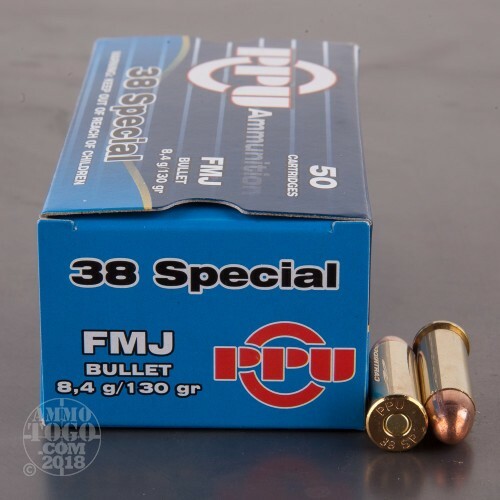 This package contains 500 rounds of affordable Prvi Partizan .38 Special ammunition. 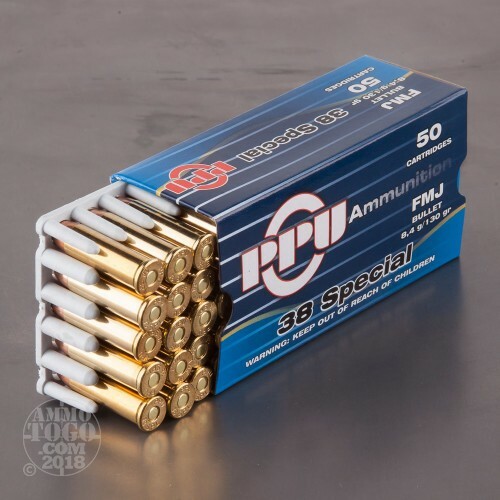 Each new production cartridge is loaded with a 130 grain full metal jacket (FMJ) bullet. 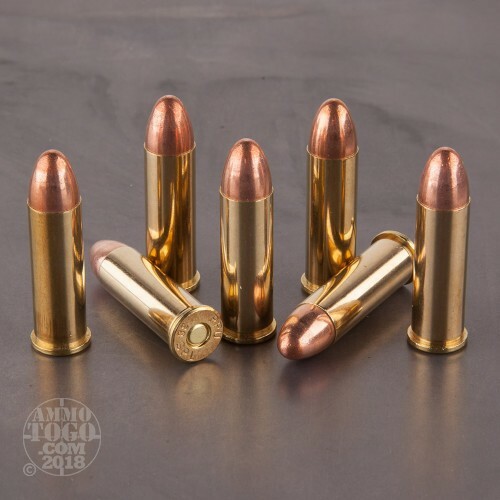 Featuring a soft lead core completely surrounded by a copper jacket, these general purpose projectiles provide excellent feeding, zero expansion, and impressive penetration. Also delivering impressive, repeatable accuracy, these affordable rounds are best suited for target shooting and tactical drills. Located in Serbia, Prvi Partizan’s manufacturing plant supplies ammunition to national militaries around the world. Also, manufacturing custom ammunition for competition shooting and big game hunting, Prvi Partizan uses cutting edge technology to produce high-quality munitions that perform comparably to many popular brands. All Prvi Partizan products meet SAAMI guidelines and undergo stringent internal quality control measures to ensure reliable performance. Each round produces a consistent muzzle velocity of 890 feet per second with 229 foot pounds of muzzle energy. 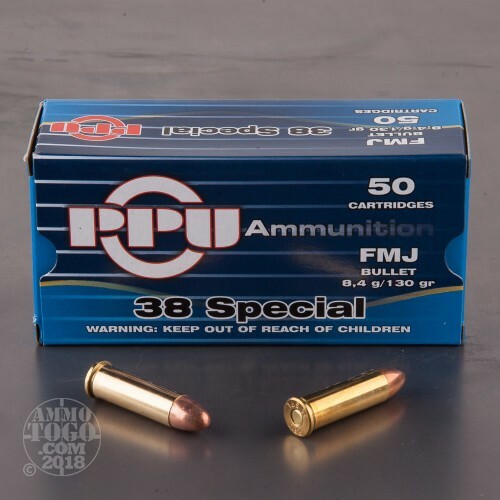 This ammunition is manufactured with non-corrosive boxer primers and reloadable brass cases.